MOSCOW (AP) - Following in the footsteps of the U.S., Russia will abandon a centerpiece nuclear arms treaty but will only deploy intermediate-range nuclear missiles if Washington does so, President Vladimir Putin said Saturday. U.S. President Donald Trump accused Moscow on Friday of violating the 1987 Intermediate-Range Nuclear Forces treaty with "impunity" by deploying banned missiles. Trump said in a statement that the U.S. will "move forward" with developing its own military response options to Russia's new land-based cruise missiles that could target Western Europe. After the U.S. gave notice of its intention to withdraw from the treaty in six months, Putin said that Russia would do the same. He ordered the development of new land-based intermediate-range weapons, but emphasized that Russia won't deploy them in the European part of the country or elsewhere unless the U.S. does so. "We will respond quid pro quo," Putin said. "Our American partners have announced they were suspending their participation in the treaty and will do the same. They have announced they will conduct research and development, and we will act accordingly." But Russia has categorically rejected the U.S. claims of violation, charging that the missile, which is part of the Iskander-M missile system, has a maximum range of 480 kilometers (298 miles). Russian officials claimed that the U.S. assertions about the alleged breach of the pact by Moscow were intended to shift the blame for the pact's demise to Russia. 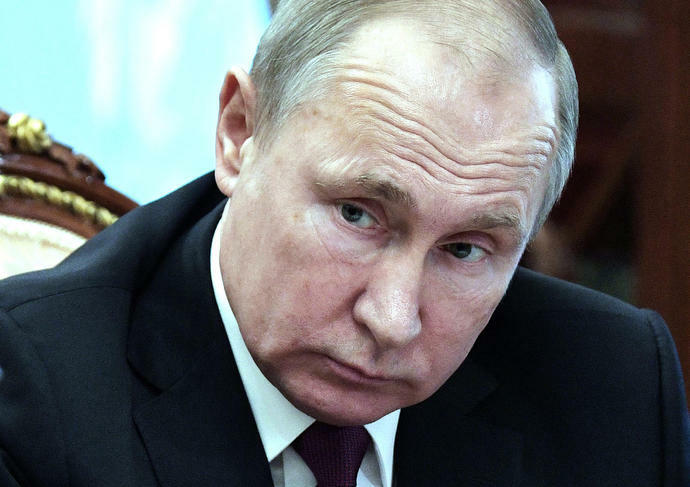 Putin has argued that it makes no sense for Russia to deploy a ground-based cruise missile violating the treaty because it has such weapons on ships and aircraft, which aren't banned by the pact. The Russian leader said that Moscow remains open to talks with Washington, but added that it would be up to the U.S. to take the first step.